Hindsight is a wonderful thing. Sometimes, it is only after something has happened that you can look back and realise what it was that was happening. At the time, you are so involved in whatever it is, that you don't actually realise what 'it' is. Last year in 2015, after a particularly stressful and lousy three-month trip to Scotland, I decided to take a break from writing (other than the occasional blog post) and stuff like that. The 'plan' was to catch up on everything and live a serene life filled with time a-plenty to do anything I wanted to do. The reality was that while I *DID* manage to spend a good amount of quality time on my Gaelic studies, I wasn't acheiving the countless small, simple things I wanted to acheive. Still the pile of my 'stuff' in the corner of Mum's garage is there, awaiting the week I devote to sorting it out. Still I haven't managed to set up a the website that I've been in the process of trying to set up for three years. Still it took a whole year to edit the 40 or so videos outstanding from the Scotland trip. 'If you want something done, ask a busy person' goes the saying, and this is so true. While I had made plenty of time in my life, the inclination to do anything seemed to evaporate. 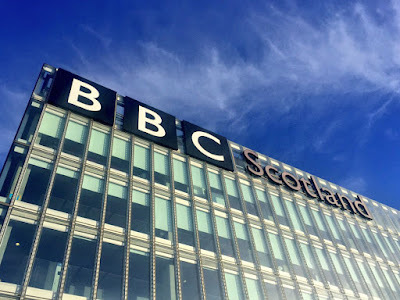 I went to Glasgow for three months at the end of 2015, and while the first few weeks were fun, as soon as the clocks changed and I'd done the Gaelic radio interview for which I had been preparing for months, I slumped. With nothing to get up for, it was a struggle to get out of bed during the dark mornings. By the time I was up, showered, dog walked, beds away, and breakfasted, it was starting to get dark again. The friends I had hoped to make didn't seem to materialise. That huge void of empty time I had created was not filled with serenity and creativity, it was a vacuum filled with negative and self-defeating behaviour that just seemed to get worse. This was not what I had envisaged. 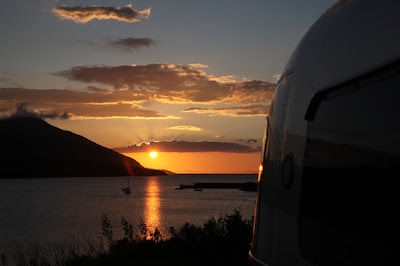 As winter melted into spring, I had a college assignment to do, and I decided that I was going to 'do it properly' and take the Airstream up to the Outer Hebrides after a short stint at college on the Isle of Skye. Rather than give myself three weeks, I gave myself half that - 10 days. I also called up the Caravan Club to see if they'd be interested in an article about it. After all, it would be a nice way to try and convey how caravanning can not only be a way of taking a relaxing holiday, it can also make for an enlightening, richly cultural and educational break too. Everything 'clicked' on this trip in April. Relationships were established, friendships cemented, roots planted, and the faster pace of the trip meant that there simply wasn't the time to get bored or stay in bed too long. There was way too much to do. My plan obviously worked. Despite never having written any kind of academic paper in my life ever (I did all my research BEFORE I knew what Havard Referencing was, so I had to do it all again) I managed to get myself an A grade for the project. 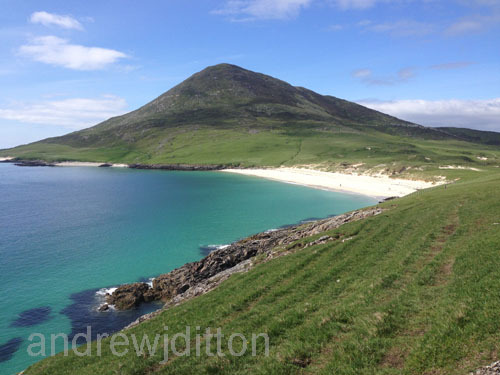 Meanwhile, in June, I headed back up to the Hebrides, this time for six weeks. Despite the longer time frame, I had so much scheduled that the pace would, once again, be quite fast. 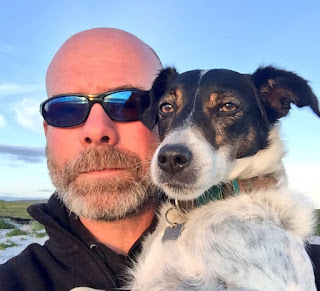 A funny thing happened on my way to the Hebrides. I had just downloaded a new album by a group from the Isle of Skye called 'Niteworks'. Two tracks hit me between the eyes - a Gaelic language dance/club track called 'Taobh Abhainn' with vocals by the honey-voiced Alasdair Mac Ille Bhàin, and a haunting monologue 'Somhairle' which was a recitation of 'My Island' by the poet Sorley MacLean. I knew I wanted to make videos to both of these tracks, although after seeing Treacherous Orchestra in Stornoway with my friend Cathy, I decided to use their music to one of the two films instead. The recitation 'Somhairle' re-awakened a creativity that had, I realised with hindsight, been dead for about three years. That kind of coincides with when my Dad became ill for the last time before his passing. Everything started to make sense. While I thought I was over the loss of my Dad and functioning normally, obviously I hadn't really come to terms with it and hadn't quite 'got over it' as quickly as I'd thought. It had taken three years. With that fire of creativity well and truly lit, I dashed through the Highlands to squeeze in an unscheduled 48-hour trip to the Isle of Raasay - the place where Sorley MacLean ('Somhairle') was from, and a place where I knew were derelict iron works that would be perfect for the video still in my head. I also wanted to go visit 'Hallaig' for the first time, a village that was abandoned during the Highland Clearances. It took a good hour's walk in the drizzle and midgies to get to Hallaig, and it was something I don't think I would have done during the previous three years. I realised once I got back down South, that the less I had to do, the less I wanted to do. Yes, to do too much is no good either, and you need to strike a balance. And that's the word, 'balance'. I realised I had actually gone too far the other way. As such, the 'Gaelic' piece for the Caravan Club Magazine won't be the last by any means. Right now I'm away in the Airstream researching a commissioned magazine touring article. Yup, we're back! Many of us live somewhere not too distant from a huge conurbation like London, Birmingham, or Glasgow. As such, if your journey takes you around or through said conurbation, you have to consider planning your journey to avoid getting stuck in traffic at busy times. Here in the South East of England, that means avoiding the M25 between 6.30am and 10am, and again between 4pm and 7pm. When faced with a long journey, like my recent trip up to Scotland, I normally aim to travel in the evening when the traffic is, generally, free-flowing. 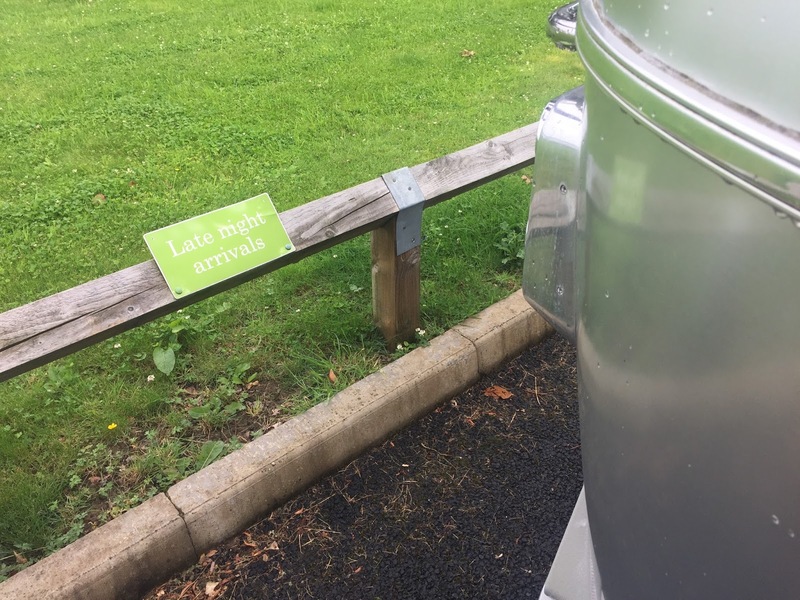 I would break my journey when tired at 'Late Night Arrival Areas' on Caravan Club Sites, but I have now come to the conclusion that that is less than ideal. Off we sailed, cruising freely through the Dartford Tunnel and enjoying a relaxing tow around a free-flowing M25, and up the M11. As the clock approached 11pm, it was time to stop and rest for the night, so we headed for the Late Night Arrival Area at Ferry Meadows Caravan Club Site in Peterborough. ARGH! Horror of Horrors! Upon arrival, the gates were locked, as they had been since 10.30pm. 'Murt mhòr!' I cried, my favourite Gaelic saying du moment. It means something like 'Oh heavens above!' I had no option but to overnight on the public road, fretting the night away about my unsecured kit on the car. ...which meant I didn't get to Cambridge until 10pm. So I slunk on to the Late Night Arrival Area, joined by a second caravan at 11pm. Meanwhile, my antics had been causing consternation among wardens and the Caravan Club. I woke up in Cambridge to discover that this area was for people who had a booking. I didn't. Meanwhile, the people in the caravan next to me *did* have a booking, but as they were on a ferry from Holland until 9pm, they did not have the phone signal to ring ahead and warn the wardens. Which meant that their booking was cancelled and a 'Black Mark' applied to their name, which they then had to ring up and sort out with the Caravan Club and have removed, lest it annulled any future bookings. This, my friends, is the reason I don't normally book in advance. I just don't know how far I'm going to get. I still remember heading up to the Caravan Writers' Guild Event in North Lincolnshire with the kind of migraine that saw me stopping to throw up and lie in the Airstream face-down for an hour every 30 minutes. It took almost 8 hours to cover 120 miles of free-flowing motorway. The late nights, local arrangements on sites, angst caused to myself and the hard-working and ever-patient Caravan Club wardens are, I have now decided, simply not worth it. In future I think it really is worth missing a day and keeping 'normal' hours. Yes, it will be a faff to unhitch the caravan every evening and hitch it back up again in the morning, but it will give me time to relax and unwind in the evening and a allow a decent night's sleep. There will always be the problem of having to make a booking in peak season then risking not making it if health or traffic conditions dictate, but that's something I'll have to deal with if it happens. But for now, I think setting off at 9.30am, taking a break between 4.30pm and 6.30pm, and aiming to arrive on site at 8pm (with a courtesy call to the wardens to let them know) is definitely the way forward. I never thought in my wildest dreams that the two subjects would cross over and I'd end up writing the same entry for both blogs. My love of Scotland is no secret to anyone. After many Airstream trips to the Outer Hebrides, each one affirming my love for and connection with the place just a little bit more than before, I decided in 2013 to start learning a little bit of Gaelic in order to try to come to terms with and understand my connection a little better. Alongside my Gaelic course at Sabhal Mòr Ostaig, I maintained a good relationship with the Caravan Club of which I have been a member all my adult life, and for whom I have worked on an occasional freelance and sometimes voluntary basis for over 10 years. As my friends will testify (the very few I have left, that is), when I am passionate about something I don't shut up about it. Therefore it was only a matter of time before I was gabbling away excitedly to all my pals in the caravan industry about the wonders of Gaelic, and the profound richness it has brought to my life. And so it was that I was invited by the Caravan Club to speak at the Scottish Caravan, Motor Caravan, and Holiday Home show this weekend. To keep a Gaelic theme, the fabulous singer and all-round Lovely Lady Joy Dunlop was invited along as the headline act to sing in Gaelic and add glamour and - er - joy to the procedings. Nobody knew how this would go down as the worlds of Gaelic and Caravanning have never been brought together like this before. This was a chance to tell the Gaels and the rest of Scotland that the caravanning sector is worth £700 million to the economy of Scotland, and members staying on Caravan Club Sites alone spend £35 million per year outwith the site, i.e. on meals and days out, and that 70% of those visitors come from outwith Scotland. This was also a chance to bring Gaelic to the one million plus people (over 360,000 member families) in the Caravan Club. 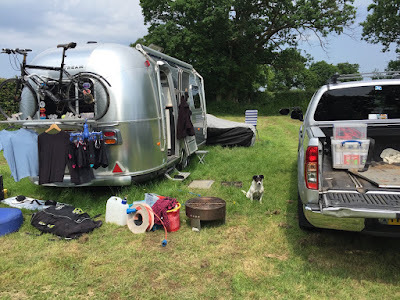 Even before the event, the media circus started and I was interviewed about my Airstreaming and Gaelic for the Scottish Sunday Mail (Daily Record) which you can read by clicking here. 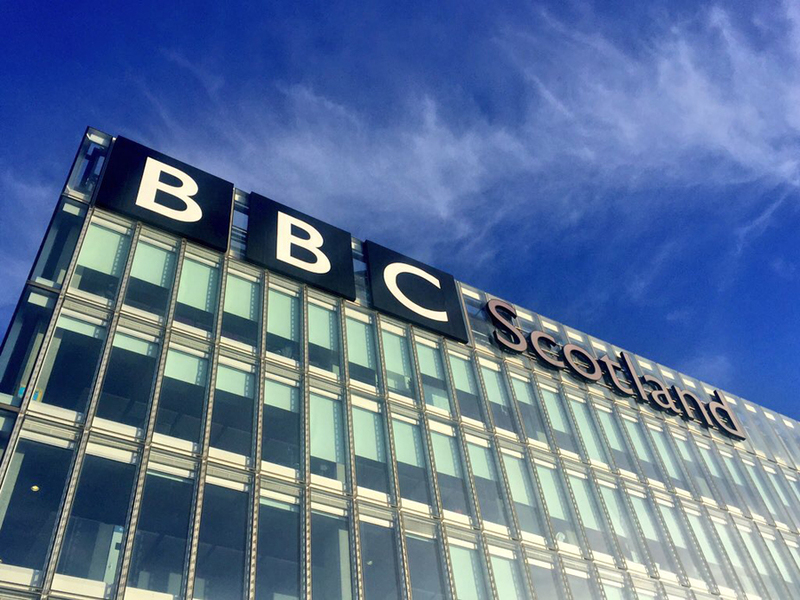 The day before the show opened was an exciting day as I appeared on the Kaye Adams Programme on BBC Radio Scotland. That was a fantastic interview, and you can listen to it by clicking here and scrolling to approx 2:52. Finally, the opening of the show by Joy and myself went down very well indeed. Joy thrilled the crowds with her delightful singing and warm and bubbly personality, while I gabbled away excitedly about everything that is great about touring Scotland in a caravan or motor caravan. You can see a great video of the event made by the Caravan Times team by clicking here. Not everyone in Scotland nor every Gaelic speaker is going to be fond of caravans. Neither is every caravanner going to be fond of Gaelic. However, bringing the two worlds together can only help in the promotion of mutual awareness, respect, and understanding, and that can only be a good thing. On 26th October 2015, RET was rolled out across the Caledonian MacBrayne ferry network in Scotland. What's RET then? I'm glad you asked. It's Road Equivalent Tariff, that's what it is. The blurb says that it's something to do with trying to equate the cost of taking the ferry with driving the same distance. The simple reality is that the fares have tumbled, in some cases dramatically so. RET is not new. It has been going for a while on a few of the 'long haul' routes like Barra, Tiree, and Lewis. Arran joined the Club recently. Now all the islands, and INTER island routes, will benefit from RET. 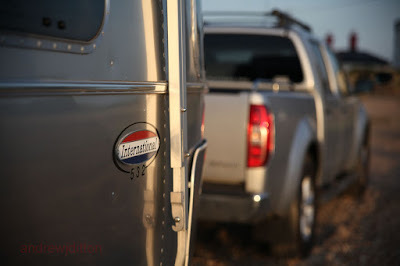 So what does this mean to the caravanner, and the motor caravanner? So looking at the Mull crossing, that is a WHOPPING £195.40 reduction in the fare. 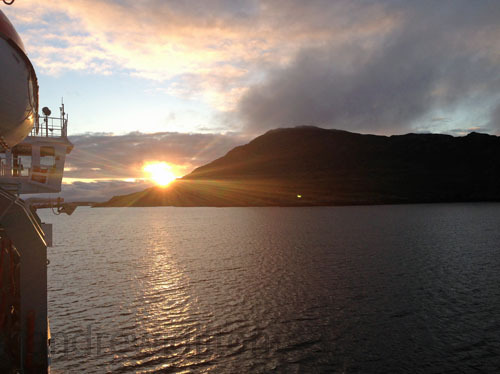 The ferry crossing to Mull with a caravan will cost about 30% of the 2015 price in 2016. WOW! The inter-island routes also open up the possibility of affordable day trips between islands. Last year I couldn't believe that to take just my motorbike and myself from North Uist to Harris for the day (for a Temple Cafe or Skoon Art Cafe fix) was going to cost £42.75 (5-day return). In 2016 the same return will cost me £20.10. 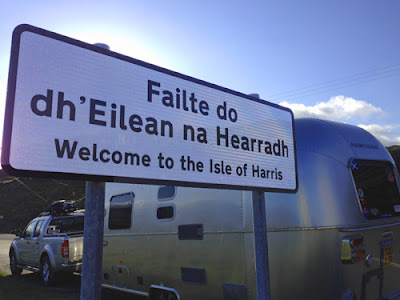 This is terrific news for caravanners, motor caravanners, motorists, bikers, and of course for the islanders themselves. There is always a but. And in the interests of fairness to all, let's talk about that 'but'. When RET was rolled out to the likes of Barra and Tiree a few years back, the fares tumbled in a similarly dramatic fashion. Tourers, especially camper vans that travel for the same price as a solo car, headed for the islands in their droves. The only problem was, neither Barra nor Tiree was set up to accept this amount of tourers. Folks would wild camp around the islands. Beforehand, as there were only one or two campers, it was never a problem. Suddenly, swathes of heavy vehicles and caravans were blotting the landscape and, more importantly, destroying it. Machair is fragile, and it wasn't long before erosion set in. After a bit of an uncomfortable transition period, Tiree and Barra now welcome more caravans and motor caravans than ever before, thanks to a new network of camping-crofts and campsites. Wild camping has effectively been stopped. 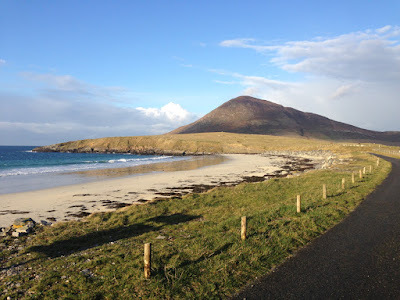 There are some wonderful sites on Mull - click on 'Mull' in the word jumble to the right to see where I stayed in 2012. However, even in 2012 the small road between Craignure and Tobermory was already very busy. I wonder how it's going to cope. But I implore the responsible camper to use the official sites wherever possible, and spend that money you saved on the ferry fare on the island. £195 can more than cover your site fees and industrial quantities of cake for an entire week. if you've never visited the beautiful Scottish Islands and have always fancied it, then wait no more. 2016 really is the year to make it happen. Enjoy. An open letter to the Stornoway Gazette. This was something I meant to write about a long time back, but work and Gaelic study got in the way. During my winter trip to Harris in November/December 2014, I went to Northton Beach on the Isle of Harris and my heart sank. 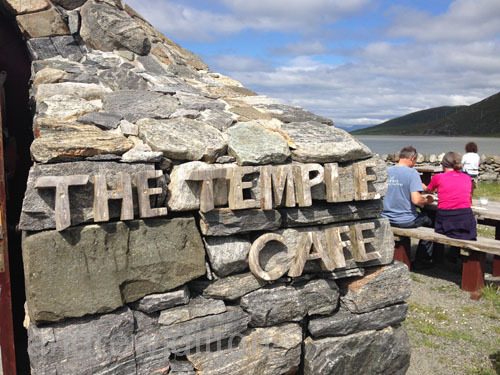 As I passed the Temple Cafe, the sign at a nearby house said ‘No Turning.’ I was so sad to see this. If you have not read ‘Notes From a Small Island’ by Bill Bryson, then make it your priority to do so! In it, Bryson talks about the ‘No Turning’ mentality of the narrow-minded and petty. Worse was to come. At the beach, there were a plethora of ‘Private Road’ and ‘No Parking’ signs, along with a line of stakes to make sure you got the message. Only a few months before in the summer I had stopped here for the afternoon on my way from Horgabost Campsite to the Leverburgh ferry en route to Berneray. I parked the rig along the front, had an awesome kitesurf session, then trotted off to the Temple Cafe for a hearty meal. On my Spring 2015 trip, I was unable to repeat the experience. Travelling from Horgabost to Leverburgh my only options were to park in Leverburgh School (it was Saturday) and buy a DIY lunch at An Clachan, or hope that the Butty Bus would be open. I went for the former, and Gail and Reuben at the Temple Cafe lost yet another customer that day. I cannot begin to even think of how many walkers to the Temple at Toe Head have had to reconsider their day as they can’t park anywhere. I think it is perfectly reasonable for the local residents not to want motor caravanners and caravanners pitching up for the night along their beach. A simple ‘No overnight parking please’ sign would surely suffice? If erosion is an issue, then a kinder, softer sign would still get the message across while not alienating the visitor. 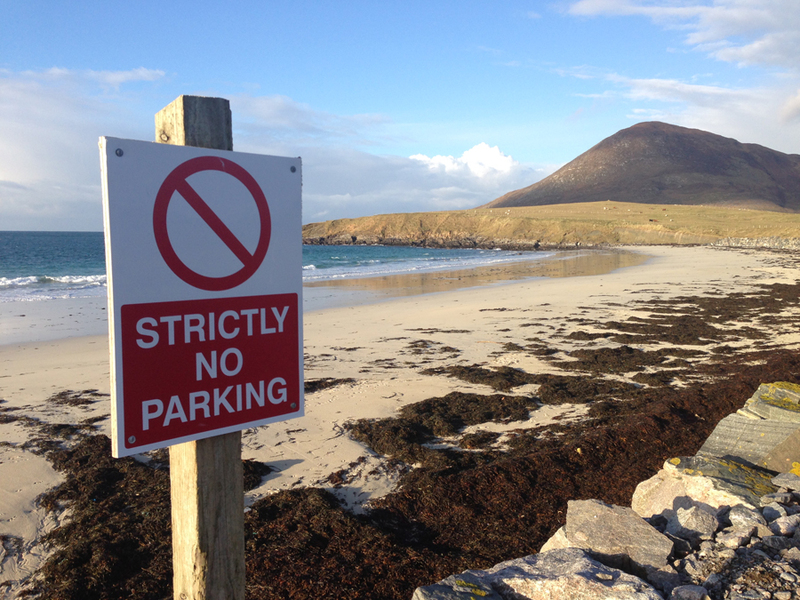 I’ve not been back to Harris since May 2015, and I can only guess that people are now parking along the verges of the road. However, to me as a ‘regular’ to Harris, it’s not the lack of parking that grieves me. I fully understand that to create a flat hardstanding area, even to extend the Seallam! car park, would cost thousands if not hundreds of thousands of pounds. What grieves me are those signs and the attitude they convey. An attitude of narrow-minded ‘prissy…rural England’ as stated in the letter to the Stornoway Gazette. In other words, the kind of thing that people make the long schlep to the Western Isles to get away from. Put it another way. If this canker is allowed to spread and turn Harris into yet another 'prissy' tourist-hating pretty place where incomers have bulldozed their way in, forced the locals out, then erected their precious ring fences (just like has happened in parts of Cornwall), why would people make that long and expensive journey? As a Gaelic speaker, I notice that none of these signs are in the indiginous language of the land. This is the kind of sign you see in Gaelic - a welcoming one. Let’s hope that common sense prevails and such signage is removed, or at the very least changed to something a little more in keeping with the traditionally warm, friendly, and welcoming Hebridean Hospitality that so many of us cherish and hold close to our hearts. I try my hardest to avoid all newspapers, even the free ones. However, in a moment of tired weakness on the train last night I flicked through the freebie that was on the seat next to me. One of the main stories was about a lady who nearly died after eating a cupcake in a cafe and going into anaphylactic shock. She was allergic to nuts I believe. The picture of the alleged 'victim' showed her in a graduation gown. In other words, this woman isn't thick. I do not in any way wish to belittle what happened. This woman nearly lost her life. However, what struck me about this court case is that the blame is being heaped on the cafe that sold the cupcake. Now, this 'victim' knew of her nut allergy, and she had also failed to carry her epipen with her. Yet, because there was no sign on the cake counter that said 'Please ask us about allergens', the lady consumed the cake without knowing it contained traces of nuts. In other words, because there was no sign telling her to ask, she didn't. The lady is a graduate. Did she really need reminding to ask? By law, the cafe should have had the sign. In other words, the law states that even if you have a dietry allergy that can kill you, it's down to the eating establishment to remind you to ask whether or not that cupcake is going to kill you. In the eyes of the law, the responsibility seems to be a little one-sided. 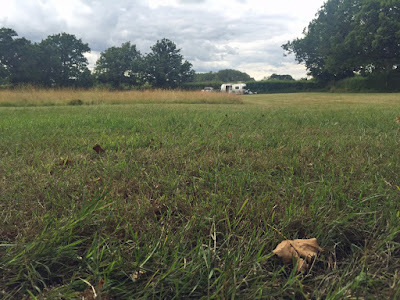 What has this got to do with caravanning, you ask? You see, I'm an advocate of using your caravan, tent, or motor caravan to get away from it all. REALLY get away from it all. It's not for everyone I'll grant you, but to me personally I love being away from club houses, madding crowds, electric hook-ups, and all those other trappings of modern living. 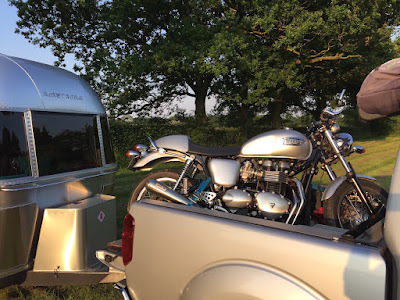 Generally I go for four or five months over the summer using small, simple sites (CLs and CSs for those in the know) without electric hook-ups that charge up to £5 per night. I love being self-reliant for my electricity (by solar panel) and for my heat and hot water (LPG, solar shower, woodgas (BioLite) stove, or BioEthanol.) There is a connected feeling of wholesomeness and contentedness about quietly living off-grid for a while. However, these tiny corners of paradise where I find myself over the summer are dying out at an alarming rate. It is now very difficult in my corner of the woods to find a mains-free CL or CS where you can camp for £5 or under per night. The third CL in three years near to where I am based in Kent has just closed. The three CLs used to charge between £2.50 and £5 per night. All of the owners lament the same reason for closure: Today's 'Compensation Culture', and the prohibitive cost of insuring against it. 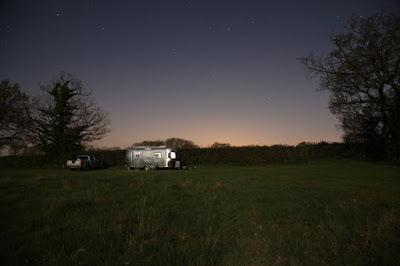 Nobody is ever going to make a living out of charging under £5 per night for up to five caravans. However, if you have a spare field with a water supply and enjoy meeting people, it can be a good way to earn what one ex-owner called her 'Gardening Money'. In other words, a little bit of cash to spend on her hobby. Small sites without facilities are nowhere near as well patronised as their full-facility £15/night cousins, but for folks like me, that is half of the appeal. However, without the volume of 'bed nights' per year, it can be hard for the site owner to cover their existing costs, let alone pay out for expensive insurances. Therefore they take the difficult decision to close, and another simple site bites the dust. Meanwhile, my Club Magazine tells me of all the small sites that are opening, and generally these are all in the £12-£20 bracket and feature electric hook-ups (EHUs). Installing EHUs is a very costly business, and of course that outlay needs to be recouped as well as the actual energy cost. As the majority of caravanners and motor-caravanners like being hooked in to the mains, these sites can do quite well and the owners can cover their costs, including insurance. But I don't need a hook-up in the summer. I don't want to have to pay for something I don't need or want. On the site I am enjoying at the moment, there are rabbit holes. If I twist my ankle falling down one, as far as I am concerned that is my own stupid fault for not looking where I am going. Regrettably, however, there are people amongst us who suffer from the afflictions of greed and ignorance, and are of the opinion that everything that happens to them is someone elses 'fault'. Of course we all need protection from unsafe working practices, dangers to health, and the like. However, responsibilty for their own actions is something that some people seem to shirk, and the rest of us end up paying for it. Right now, some of us are paying for it by losing the few simple sites remaining, and the wonderful lifestyle they allow us to enjoy. Nothing stays the same forever, we all know that. Sometimes it's good to take a while away from your normal routine, have a think about stuff, and do a bit of a 'happiness check'. You may have enjoyed doing something yesterday, but do you still enjoy it today? After a very damp and cold three months in Scotland I've decided to change direction a bit. Sadly for some, I'll no longer be continuing my journalistic pursuits for the time being. We live in a very different world to the world I set out in about 15 years ago. You can try and keep up with it all or do something else. I tried for a bit, but now the time has come to do something else. My Airstream took me to the Outer Hebrides in 2009, and I fell hook line and sinker in love with the place. Before that first visit, I didn't even know that Scottish Gaelic existed. Like many folks, I thought it was pronounced 'gay-lick', which it isn't. It's more like a cross between 'garlic' and 'gallic'. Fast forward six years and I have completed an 18 month foundation course and am now half way through a two-year part-time university course in Scottish Gaelic. Upon completion of this two year language course I have the option to complete my first ever degree, which is seriously tempting. If the struggles of a mature student or learning the Gaelic language are of interest to you, check out my other blog, Confessions of a Gaelic Learner. Sadly, being just an average human being and not Superman, I can't divvy up my brain into separate bits and be able to give of my best to many things. I have a day job on the railway based in London that I enjoy immensely and have been doing for 21 years, so that isn't going anywhere. I *love* learning Scottish Gaelic, which takes me to Glasgow, Skye, and the Outer Hebrides at every opportunity. This leaves little time for anything else, and sadly something has had to go. Fifteen years ago, your average leisure journalist was expected to produce words. Very soon after that, the advent of digital photography caused the magazines to dump their Staff Photographers, and the journos were expected to do the photography too. Thereafter, as digital media takes off, video is expected now as well. With video, a whole new bag of worms is opened up, and it's something I don't really want to go into in public. There is a massive, massive difference between writing about a successful trip you have already completed, and being commissioned to produced a set piece to a set format on a set area within a set timeframe. Meanwhile, 'trolling' on the internet is on the increase. The uneducated and narrow-minded can be so vocal when protected by the anonymity of being the other side of the screen, which is a luxury not afforded to those who choose to publish. Insurance is another bag of worms. If you make any money from your caravanning and your writing, then you need to have all the insurances in place: Business use on the car, business use on the cararavan, public liability, and public indemnity. In my case that amounts to a cost of almost £3,000 per year before I even start to consider fuel, camera equipment, computer, data (both cloud and hard), mobile data transfer... and all for a revenue stream of about £25 per month from Google and not a lot more (per month) from other sources. So, my website is down for now. The YouTube videos are pruned. The latest 'ScotVlog' Series was a moderate success and a great reminder of the ups and downs of my trip, but the time taken to produce and upload these films has not been justified. Instead, I now spend my time defending what I've said in the films to people who weren't even there at the time, but think they know better about what happened to me than I do. I need a break from all this. I do have a couple of new projects up my sleeve, so don't think you've got rid of me that easily. Howver, right now I need a little time and space to clear the backlog, readjust, and start coming up with some fresh new ideas. Thank goodness for my Airstream.